Our commercial plant containers are made of heavy duty concrete that will last for many years in a commercial environment. Concrete planters require no maintenance, making them the ideal plant container for business centers, parks, schools, and HOAs. 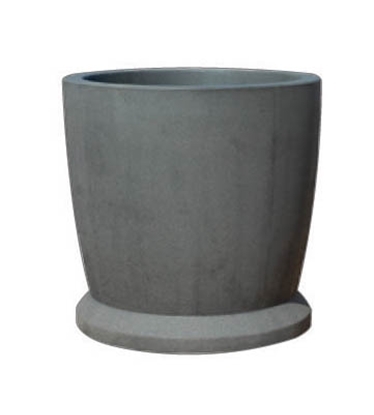 Round Concrete Planter 18 1/2" Dia. x 25"H, Portable,350 lbs. Round Planter 24" Dia. x 26"H Concrete, Portable, 460lbs. 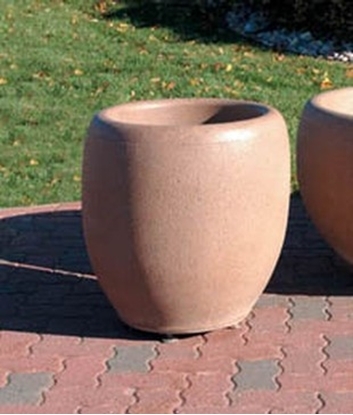 Round Concrete Planter 42" Dia. x 24", Portable, 1,000 lbs. 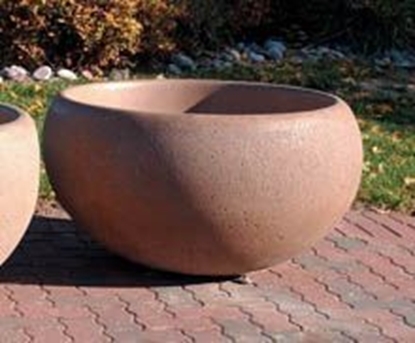 Round Planter 48x63 Inch Concrete, Portable, 1220lbs. Commercial Plant Containers add life to commercial properties with live plants and flowers. We feature large concrete planters for commercial buildings that will accommodate trees to small patio plants. Planter boxes and round planters are functional for commercial properties. Our attractive concrete, plastic and thermoplastic planters complement any property.